I'm sure I've probably mentioned this fact somewhere here before, but I am not much of a jewelry wearer. I've been wearing the same pair of little gold hoop Jennifer Meyer earrings for about ten years. I never take them out and honestly forget that I'm even wearing them most of the time. I'll don an occasional necklace or bracelet but that's about it. 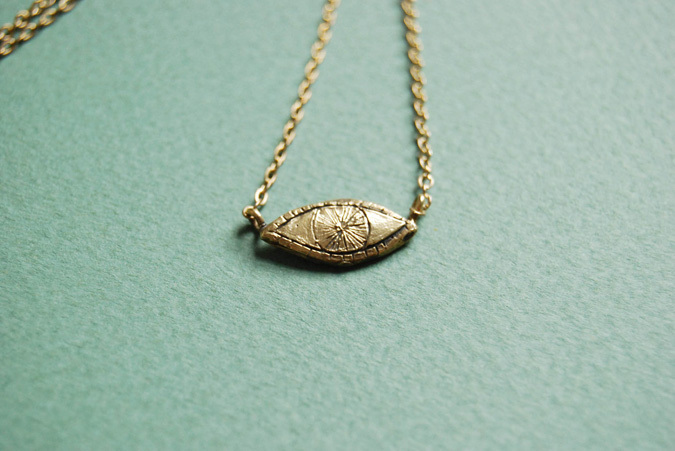 Lately my necklace of choice has been the Watchful Eye necklace from Datter Industries. I love how dainty the pieces are without being cutesy. That's a tough thing to balance. Oh my goodness, I love! Thanks for sharing this, I'm in love with their slightly weird feel. 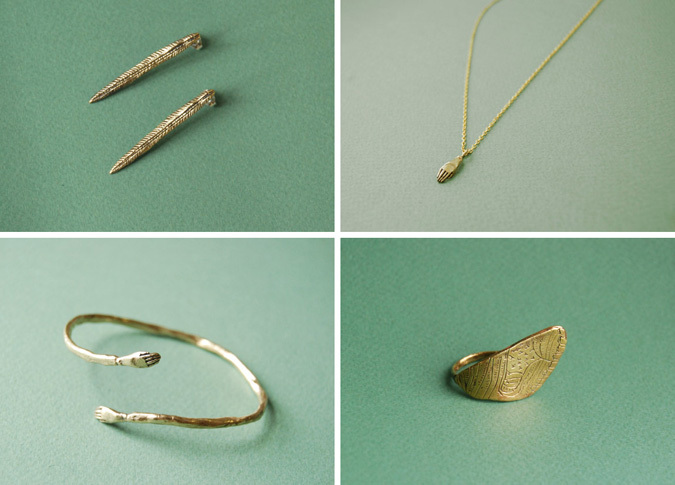 such beautiful pieces... jewellery without personality is not worth having in my opinion and these have it in abundance! So pretty. I don't really wear a lot of jewelry either, but tend to gravitate toward dainty pieces like this.